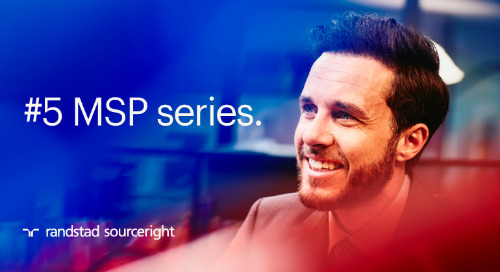 Home » managed services programs (MSP) » vendor-neutral MSP — the way things used to be done. don’t focus on the transaction, deliver an experience. 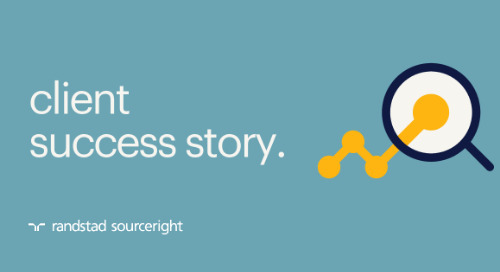 It may be a difficult lesson to learn, but the strategies that made your contingent workforce management program successful in the past won’t help you be successful now and in the future. Today, most talent programs are built on the frameworks of where we were, not where we want to go. And that is why we can unequivocally say, unless your strategy is primarily focused on improving the experience of the candidate and hiring manager, it will fail. Staffing Industry Analysts (SIA) puts the staffing industry average Net Promoter Score (NPS) at a 24, and employers considering new suppliers at a 10-year high, so there is a huge upside to create a better experience for hiring managers and candidates alike. 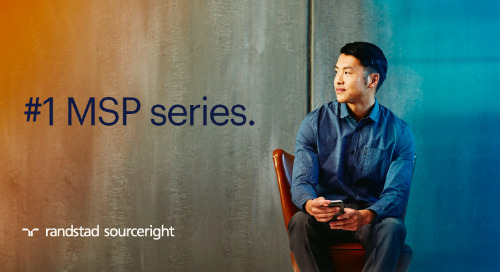 Twenty-five years ago, companies began seeking third-party managed service providers (MSPs) to support their talent strategies. As new technologies and efficiencies change the way we live, the way we work and manage our talent strategies should also evolve. With the increased amount of available data, technology and supply chain partners, the MSP model that emerged 25 years ago should be at a pinnacle. What’s happened instead, however, may surprise you. Most organizations use a myriad of strategies to ensure they remain competitive. These include new product launches, service expansions and building economies of scale, for example. These strategies help protect companies from threats and allow them to better compete, innovate and profit. It has been argued that having better talent is one of the few sustainable competitive advantages, and we’ve seen that in practice as a key differentiator from top sports teams, to other innovative and evolving organizations. A talent strategy ensures innovation, speed and all of the other competitive advantages a company needs to thrive. are you considering the flexible workforce? Most organizations today don’t have a talent strategy; they have many strategies, and they work independently of each other within silos. 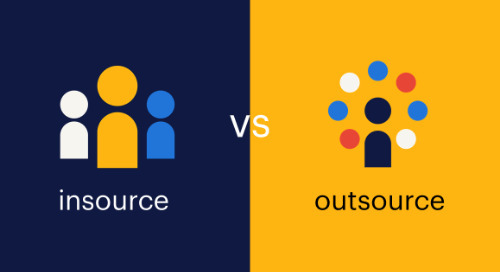 By continuing with a supply chain oriented “vendor agnostic” or “vendor-neutral” MSP, most talent organizations fail to realize they are compromising the level of talent they need, as the variable nature of the manager and talent experience is driving the best talent away. This creates issues of ineffectiveness, cost and poor talent quality. 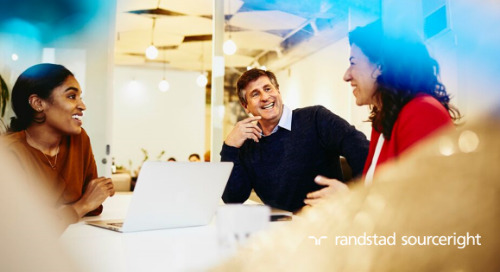 To gain business agility and accelerate access to skills, you need a unified talent strategy that looks at your workforce and the market holistically. According to the Deloitte 2018 Human Capital Global Trends report, more than 40% of workers in the U.S. are now employed in alternative work arrangements, such as contingent, part-time or gig work. The analyst firm also predicts this upward trend will continue, as it has increased by 36% in just the past five years, and now includes workers of all ages and skill levels. Yet, with this huge shift in the workforce, how many companies have adjusted their talent strategy to encompass all of their talent? 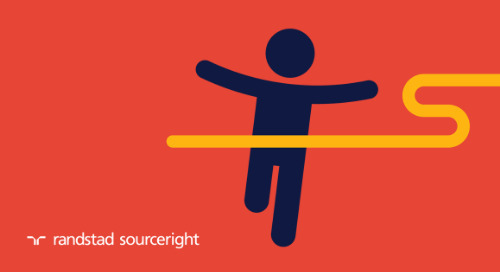 is your contingent workforce strategy currently working? 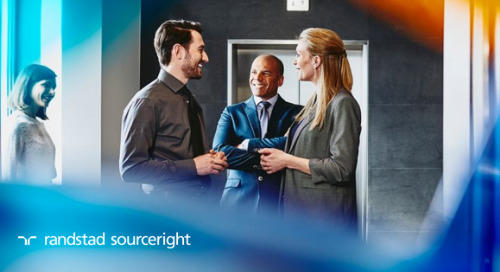 When most organizations reach a certain size, they want to ensure they have a strategy addressing the risk, efficiency and efficacy associated with a large contingent workforce. One of the first options companies will often evaluate is building a self-managed formal program. They may also consider outsourcing this function to a third-party MSP partner. 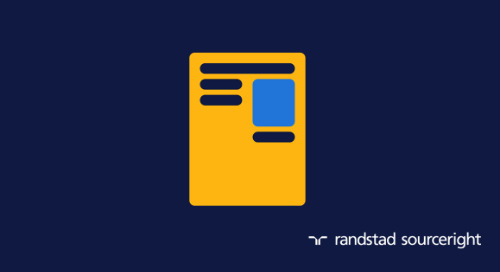 With the rise of vendor management systems (VMS) and connected human resources information systems (HRIS), this approach can add value. 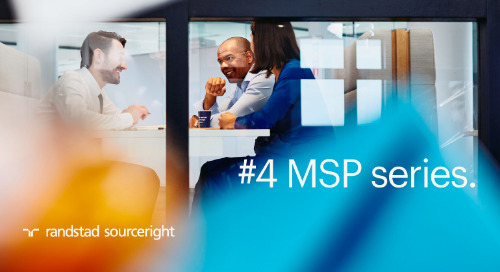 While there are some excellent insourced contingent programs, according to the SIA 2018 Workforce Solutions Buyer Survey, 78% of organizations have selected to outsource the management of a formal program to a third-party MSP. When this trend started around 1995, vendor-neutral MSP companies were quick to identify that the decentralized market provided some opportunities. MSPs could improve cycle times and create transparency into the large budgets that companies had going to contingent, statement of work (SOW) and independent contractor (IC) resources. This model organized suppliers on a technology platform and created a real-time marketplace for competition, standard processes and cost reductions. Approximately 62% (312) of the Fortune 500 are no longer represented on the list, potentially indicative of employers’ inability to evolve to changing talent needs. Contingent employment has grown from 12.5M to 16.2M workers. Unemployment in the U.S. has dropped from 5.6 to 3.9%. The impact technology has in the way people engage in the workforce is clear. There are now more than 20,000 staffing and recruiting firms in the U.S., and the annual revenue for the staffing industry is more than $150B — double what it was in 2008 at the dawn of the smartphone era. 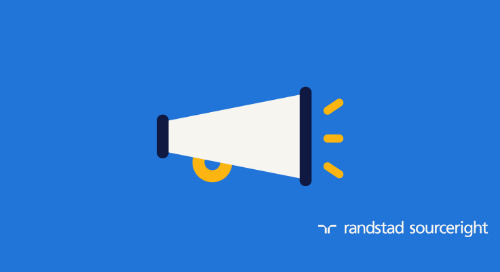 So as you evaluate your current talent strategy, several of the main questions that you want to answer are: How do I know if our current talent strategy is working? Has our contingent workforce management strategy changed? What other options do we have? Speed to hire. Glassdoor reports that time to hire in the U.S. has moved from an average of 12 days in 2010 to more than 23 days in 2017. Talent satisfaction. ClearlyRated also shows that talent NPS scores have dropped from 33 in 2013 to 24 in 2018. All of this means your brand, candidate and hiring manager experience are likely compromised with a vendor-neutral strategy, reducing your company’s ability to grow and be a potential employer of choice. With the accelerated innovation of HR technology and machine learning, we now have better data than ever around the supply and demand of labor by geography, skill set and experience. The vendor-neutral model essentially tries to use a large supply chain to determine these benchmarks, but with data, talent advisors don’t need to use a supply chain for validation in every circumstance. Using big data and analytics, an integrated MSP solution can bring insights to large organizations and drive a better strategy by looking at planned and unplanned talent demands. Planned activities use historical trends and the business strategy to outline future-based hiring activities. These could include increases in hiring for seasonal projects, planning for talent needed in technology projects that have multiple phases and milestones, and many more. Unplanned activities are just the opposite where you have a need for a just-in-time resource. This could be an unexpected vacancy, a recall event, or many other issues that arise when least expected and are not resourced for internally. If you make a plot chart for both planned hiring and supply using historical data, you will likely find a portion of your resources fall into a high supply and planned area. This category could be pipelined for a more effective, efficient, higher quality experience. The chart included here shows an example of this concept, where each dot represents a contingent resource that was hired over a period of time. Completing this exercise can be an excellent first step in understanding the opportunity cost of an integrated approach. As you would expect, there will also be areas that are unplanned and talent needs that fall into a high-niche and low-supply area. In these areas, a dedicated supply chain approach is highly effective. The supply chain should still be highly curated and closely aligned to the MSP program office. 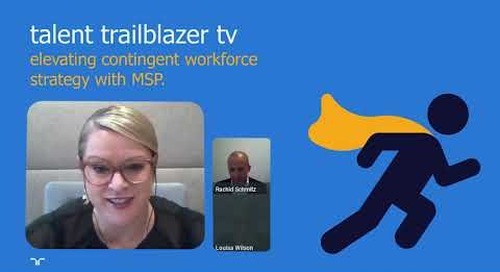 Many traditional MSPs are really supply chain focused rather than talent focused. 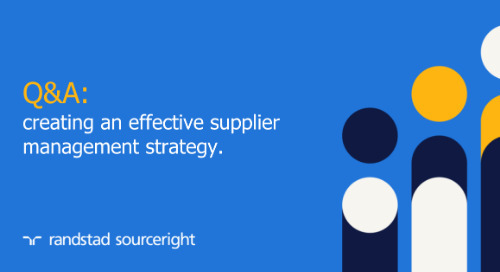 When looking at the talent strategy, organizations simply send assignments to the supply base. 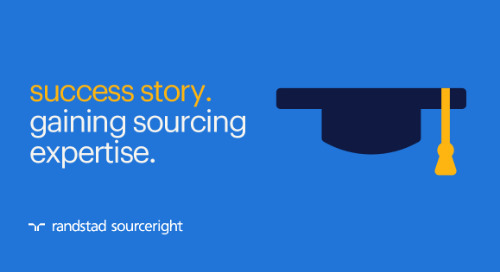 If they don’t get the candidate volume/quality they’re looking for, they often bring in a different supplier. Consider: The MSP teams of yesterday know how to manage suppliers. MSP teams today, however, need to help you think through your talent strategy. They need to challenge you to consider how the market, your organizational goals and your technologies will impact talent. They need to offer solutions for how your strategy must evolve as a result of those factors. Take a moment to reflect on the current state of your talent program. Is it working? Do you have all the information you need to make smart business decisions? Are you competing at the scale and speed that you need to be? 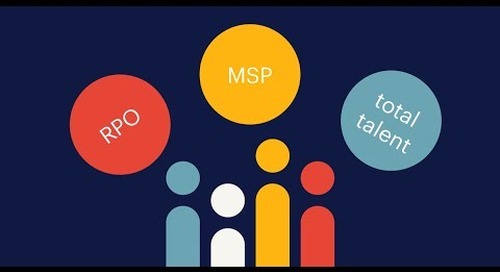 If you see the opportunity to improve hiring manager and candidate satisfaction, and truly advance your status as an employer of choice, partner with a firm that can help you evaluate your current talent needs through a consultative process that measures the quantitative and qualitative opportunity of an integrated MSP solution. 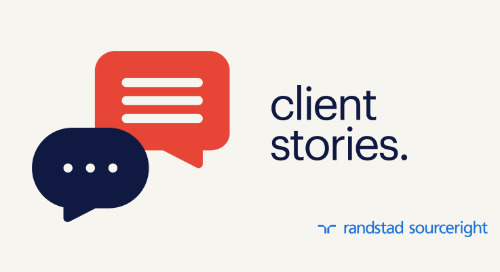 Josh Vesely serves as senior vice president overseeing sales and solution design for Randstad Sourceright’s integrated MSP division, helping mid-sized customers achieve cost savings while acquiring the best talent. His consultative approach combines dedicated, end-to-end managed services expertise with best-in-class supply chain practices, all accelerated by technological innovation. With over 10 years of experience building integrated talent solutions for customers, Vesely can personally help empower your organization’s leaders to implement and achieve a holistic view of your talent strategy.